Kevin O'Dea, U.S. Navy Veteran, is a Military Relocation Professional helping military families as they transition into and around Hampton Roads. Kevin joined the U.S. Navy in 1999 and began his lifestyle of being constantly "on the move". During his six years of active duty, Kevin moved seven times, internationally and within CONUS, before ending up back on the east coast and once again settling in his native state of Virginia. Kevin purchased his first home at the age of 23 while on active duty in Virginia Beach as an E-5. 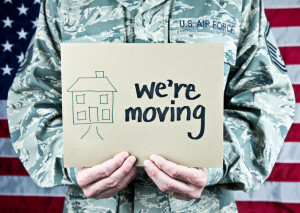 During your transitions, and as you follow the needs and orders of your respective service, there are resources and points of contact that can help make your move to or out of the Hampton Roads area less stressful, and even fun if coordinated well. Kevin has been that point of contact for countless numbers of active duty military and veterans since 2005. Kevin has purchased four homes as a military veteran and understands the value of homeownership and being a landlord (locally and out of area) to tenants. Kevin looks forward to finding the answers to any and all questions that you have about moving into the area and the home buying process. So you’ve received PCS orders and it’s time to move…again. Now what? One of the first questions that homeowners ask themselves is, should I sell or should I rent? The question quickly translates to, should I become a landlord?